To this published songwriter R&B means STAX and Louis Jordan, jazz means Charlie Christian and Count Basie, rock 'n' roll means Chuck Berry and the Stones. 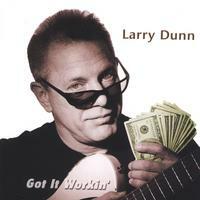 To hear full length tracks of all the songs on this CD, go to 'Album Links' on this page and click on 'Larry Dunn'. This takes you directly to my website where you'll be able to sample all the songs.